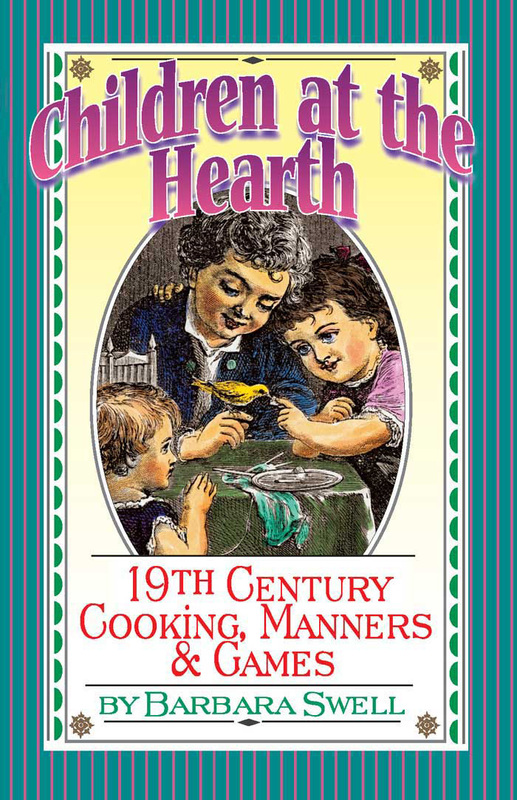 Eat your way back in time and enter the world of American children as they lived 150 years ago. 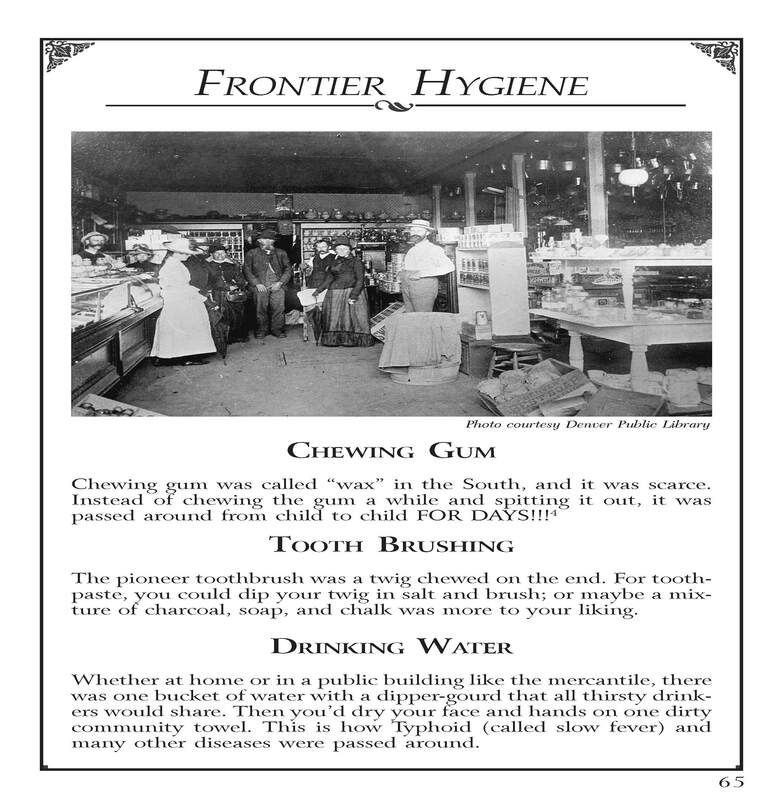 Sample foods, folklore and games found in the parlors of the wealthy, the boarding houses of the working class, and the cabins on the western frontier. 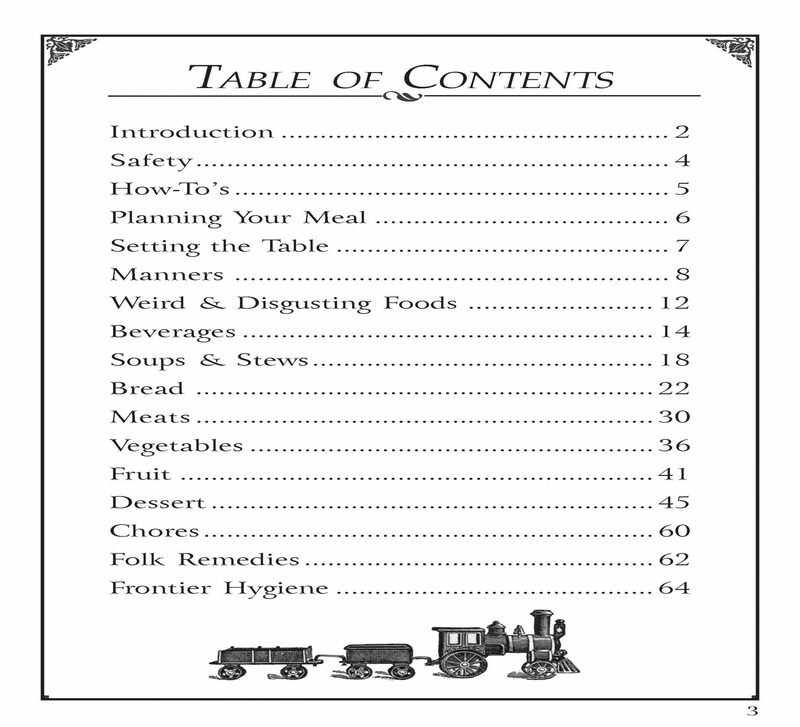 Includes over 60 vintage photos plus historic recipes like cathead biscuits, sugar plums and hobo mulligan stew. Learn to make snow candles and snow taffy, tell Appalachian ghost stories and play roley hole and jack straws. 5 ½ x 8 ½ 72 pages. 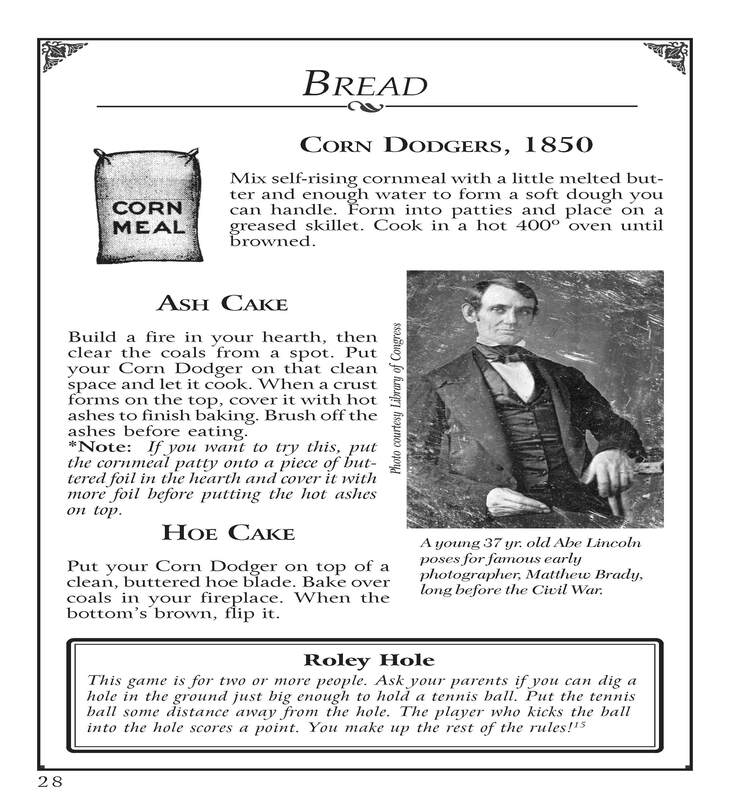 RECIPES INCLUDE: Beverages: Strawberry Water, Pineapple-ade, Lemonade, Milk Punch,Make-Do Hot Cocoa, Hot Mulled Cider, Soups & Stews: Hobo Mulligan Stew, Tomato Bisque, Peanut Soup, Creamy Corn Soup, Chicken Noodle Soup, Bread: Hard Tack, Corn Egg Bread, Cat Head Biscuits, Cheese Crescents, Corn Dodgers, Ash Cake, Hoe Cake, Soft Pretzels, Peasant, Bread: Sausage and Apples, Kabobs, Meat Hash, Parmesan Chicken, Chicken & Dumplings, Weird Foods: Pickled Glazed Tongue, Eels with Anchovies, Chocolate Sandwiches, New Sandwiches, Vegetables: Squash with Apples, Sweet Potato Cobbler, Ash Potatoes, Succotash, Corn Oysters, Hopping John, Potato Snow, Fruit: Berry Fruit Leather, Talking Fruit Basket, Fruit Salad, Pineapple Ice, Dessert: Nutty Snowball Cookies, Tea Cakes, Sugar Cookies, Face Cookies, Thumbprint Cookies, Apple Upside Down Cake, Gingerbread Apple Cake, Persimmon Pudding, Berry Pie, Pie Pastry, Moist & Chewy Mudpies, Apple Turnover, Fudge Snow Taffy, Sugar Plums, Popcorn Balls. 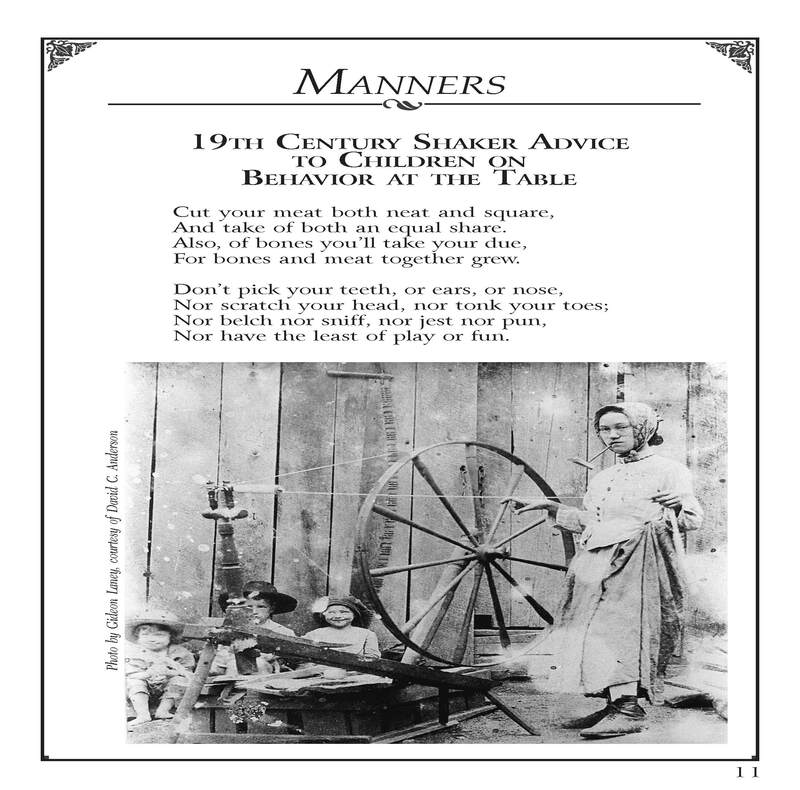 “Children at the Hearth” is a funny, informative, and highly readable volume that includes not only old-time recipes but also priceless nuggets of wisdom, lore, superstitions, and tips from our pioneer ancestors. 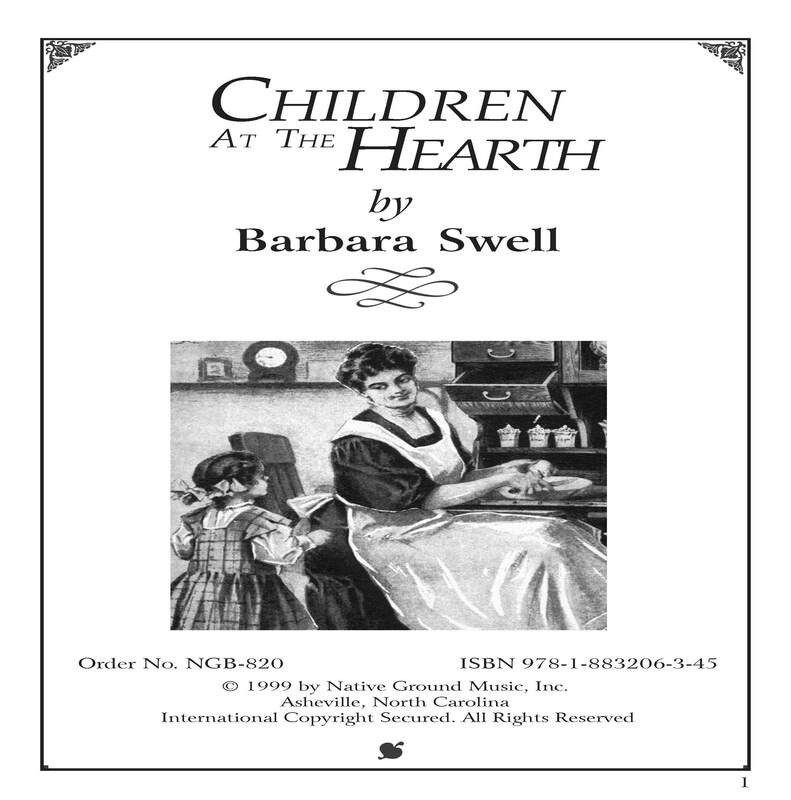 “Children at the Hearth” was quite entertaining. Lots of interesting information and some recipes I’m anxious to try.